HP Laptop Screen Replacement in Hyderabad hardly takes 1 hr. To buy HP Notebook display, just give us call. our engineer will come to home or office and fix it within no time. 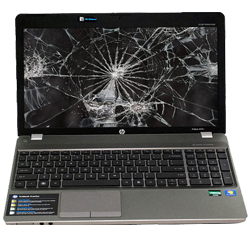 It may be internal damage or external breakage, it can be repaired at HP service center in Hyderabad. HP lcd screens we supply, Pavilion screen, Envy screen, Spectre screen and Stream screen laptops. We provide only genuine lcd screens and aimed for the customer satisfaction. Over a decade, we provide the best and excellent service to our customers. The replaced display screen of your laptop or notepad is provided with one year warranty. We have specialized team of technicians to sort out your laptop issues. There is no hidden charges or additional fee for the service provided. We provide 100% money back guarantee if there is any issues within the specific time. You can get back your laptop back to life within not time. You can contact our support team if you have any queries.